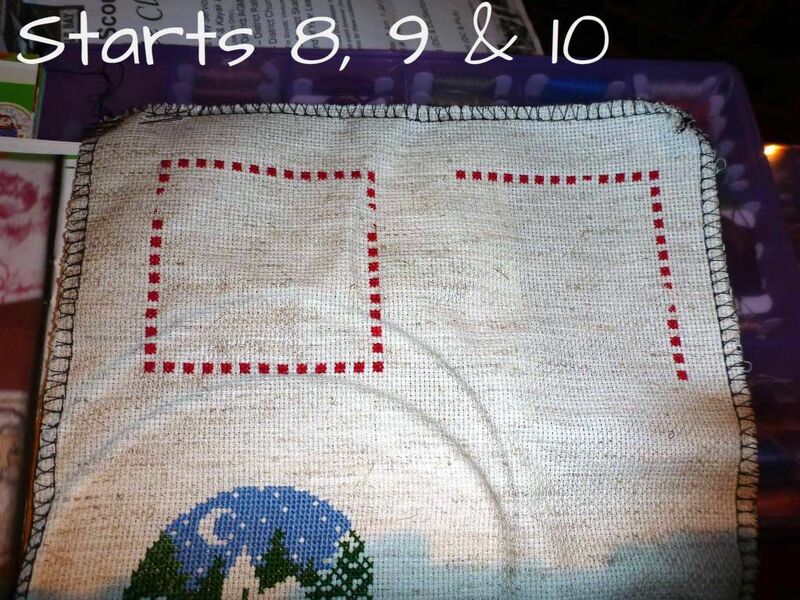 They are all on the same fabric starting with 8 and 9 along the front. The last two angels. I have only managed the borders with these ones. No. 10 is one of the circle ones. I love this little one and have found it difficult to put it down. I think this fabric is an 18ct. In October at the quilt fair I bought a couple of fabric packs with oddments of aidas so I have just been picking interesting ones to use for the ornaments. So none of them are really going to match perfectly but that will be fine. I am wondering how many more starts I will actually make, it is a lot of effort to start something new each day and I keep wanting to finish. Three more great starts Caitlin. I love the round one. 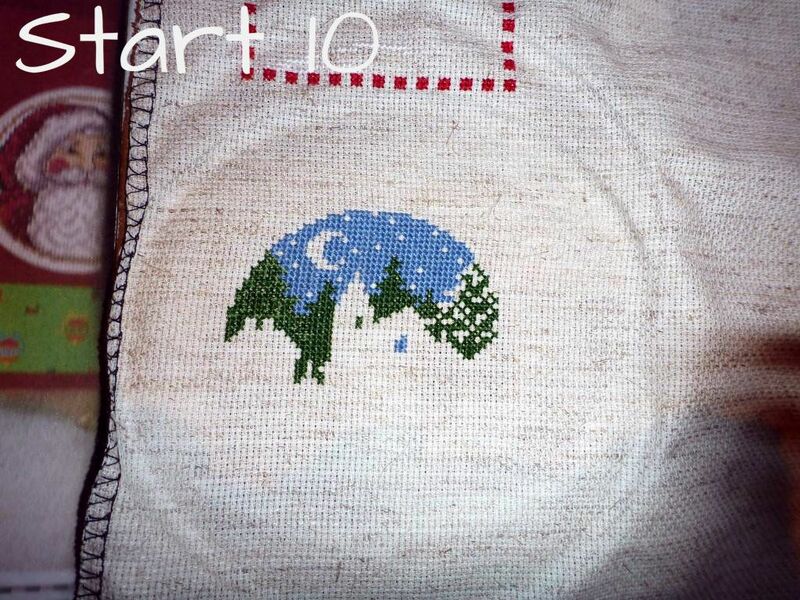 Beautiful stitching and good luck on all your new starts! I like the circle one! Where did you get the design from? And the fabric is a wonderful colour too. I'm starting to feel ambiguous towards starts myself. Used love doing them and not wanting to continue, but now I feel it is a little too much effort to find fabric and threads, and see a few crosses. Progress makes me more exciting nowadays. I think I'm getting more mature - oh dear not good. Great start on these three projects! How lucky of you to get assorted fabric packs. Those sound like fun! How cool to stitch more than one piece on the same fabric at the same time! I love the little house scene. Good luck with your additional starts.